Spectacular Opportunity in Northfield!! 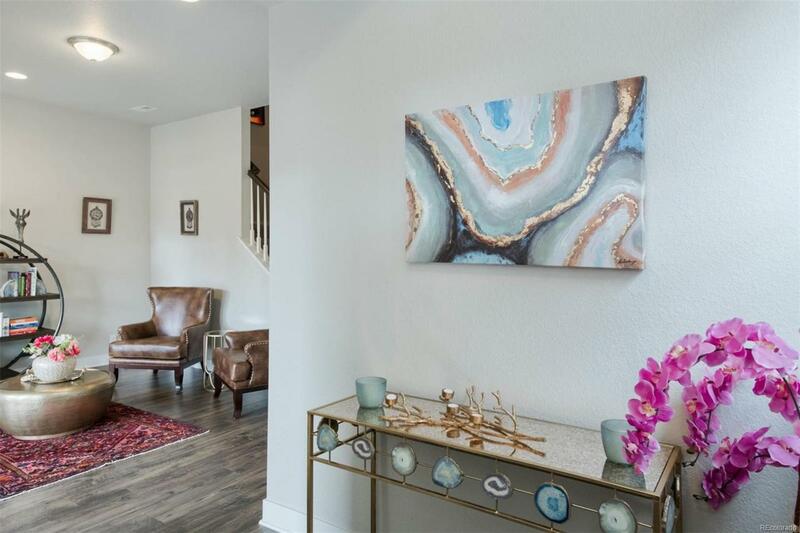 Thoughtfully designed open floor plan, stunning finishes, corner unit with great natural light. Kitchen features modern cabinetry with bronze hardware, quartz counters, tile backsplash, gas range, stainless appliances, under cabinet lighting and generous center island. Luxury laminate wood flooring throughout formal dining space, 3 sided fireplace, vaulted ceiling and 2 outdoor living spaces. Huge owners retreat with a walk in closet, en suite bathroom with dual vanities, massive shower and modern tile work. There are two additional bedroom suites with full private baths. 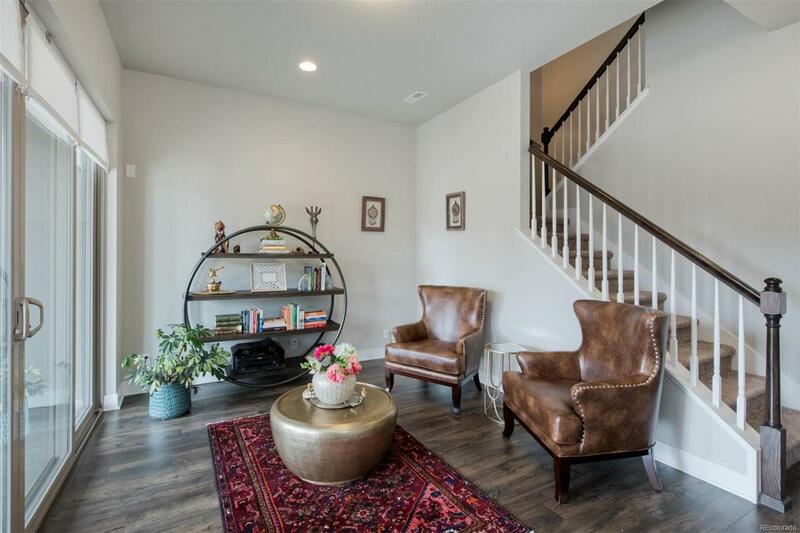 The study / den and mud room on the main floor are a fantastic bonus. 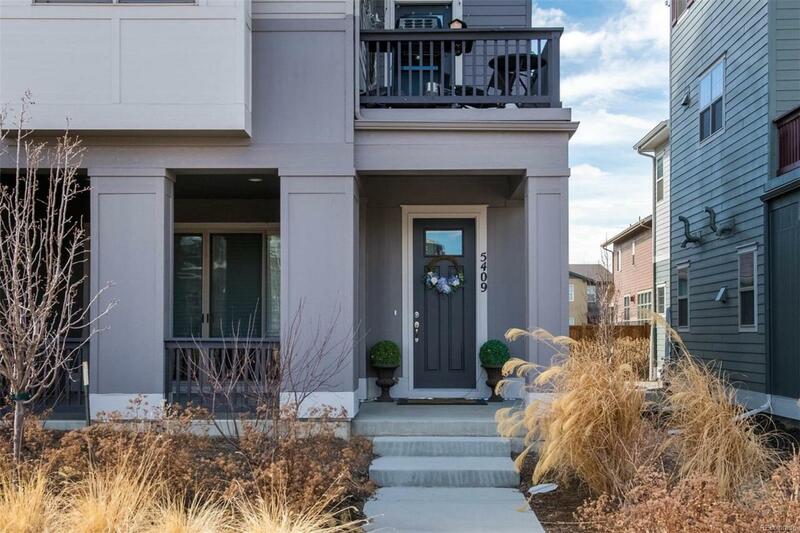 2 car attached garage with ample street parking. 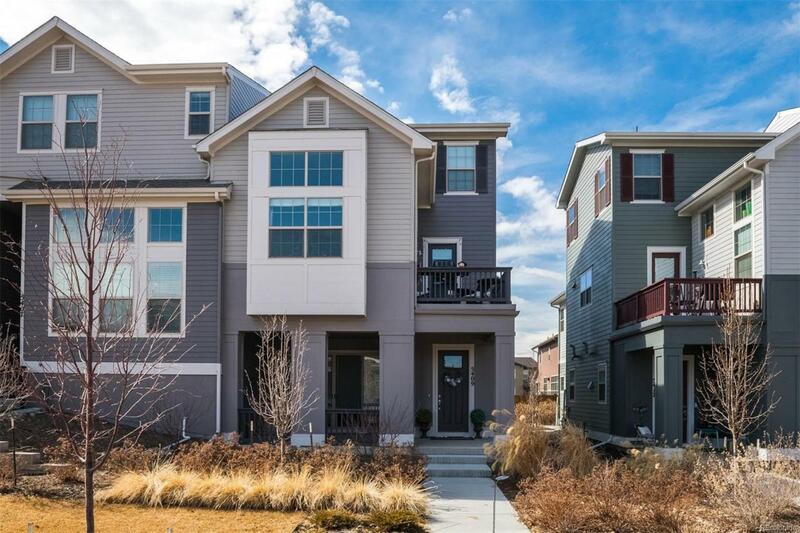 Walk to parks, pool, community center, dining and Dicks Sporting Goods Park. Quick access to highways, DIA and Anschutz Medical Campus.